The demand for VPNs that unblock the American version of Netflix is higher than any other country, but that doesn’t mean US Netflix has the only catalog of TV shows and movies worth unblocking. Other countries like France have their own content, much of which can’t be found in other countries, even the US. Netflix France’s archive includes French shows like Marseille, Braquo, Engrenages, and Wakfu, as well as English-language content that can’t be found in the US like Fargo, Penny Dreadful, Modern Family, and Big Bang Theory. ExpressVPN Super fast servers located in France, able to unblock French Netflix and most other streaming content with ease. Leading privacy and security features and 30-day money back guarantee. NordVPN A budget option that unblocks French Netflix. Decent streaming speeds with no privacy or security compromises. PrivateVPN Small network yet able to unblock Netflix France at good streaming speeds. For French people traveling abroad, Netflix France adds options for French subtitles and dubbing. But French subscribers who attempt to access Netflix France from outside the country are automatically redirected to the local version of the site and limited to that country’s catalog of shows and movies. To access Netflix France, you need a French IP address. An IP address is a unique string of numbers and dots that Netflix uses to identify your device and its location. The best way to get a French IP address is to connect to a VPN. Short for Virtual Private Network, a VPN encrypts all of a device’s internet traffic and routes it through an intermediary server in a location of your choosing. By connecting to a VPN server in France, for example, your real IP address will be masked by the server’s French IP address. Oups, un problème est survenu… Erreur de streaming. Il semble que vous utilisiez un proxy ou un débloqueur. Veuillez désactiver ces services et réessayer. Note that these VPNs were tested on a desktop web browser, and we do not guarantee they will work on the Netflix app for mobile and streaming media consoles. One of ExpressVPN’s two Paris servers successfully unblocked Netflix France in our tests. The premium provider also unblocks the US and UK Netflix, among some possible others. ExpressVPN has consistently been one of the best VPNs for unblocking Netflix across the board. All servers are optimized to bring you maximum speed and stability, enough to stream Netflix in HD without buffering. Encryption standards are the strongest on the market, featuring 256-bit AES encryption and perfect forward secrecy. The company records no logs of user activity nor your real IP address. Live customer support is available 24/7. A single subscription gets you up to three simultaneous devices. BEST VPN FOR FRENCH NETFLIX:ExpressVPN is our #1 Choice. Reliably unblocks Netflix content from France and most streaming services with exceptional speeds for buffer-free HD viewing. Total security and privacy. Try it risk-free with the 30-day money back guarantee. NordVPN might be the VPN that unblocks Netflix in more countries than any other. It successfully bypassed Netflix France’s proxy error in our tests. The company operates more than 1,100 servers globally. You should find them fast enough to stream in high definition, and stability is no issue. NordVPN also unblocks Netflix US, UK, Australia, Italy, India, Netherlands, and Germany. The Panama-based company retains no information about how you use the VPN or what you use it for, as laid out in its zero-logs policy. Encryption standards are up to date and strong enough to keep out hackers and your ISP. A single subscription allows you to connect up to six devices at the same time. BEST BUDGET VPN:NordVPN is a good value choice. A good all-rounder that works well with French Netflix. Strong security features and allows up to 6 devices to be used simultaneously from one account. Includes 30-day money back guarantee. PrivateVPN is a relative newcomer to the VPN industry, but this rising star is already proving to be a capable unblocker of streaming services. 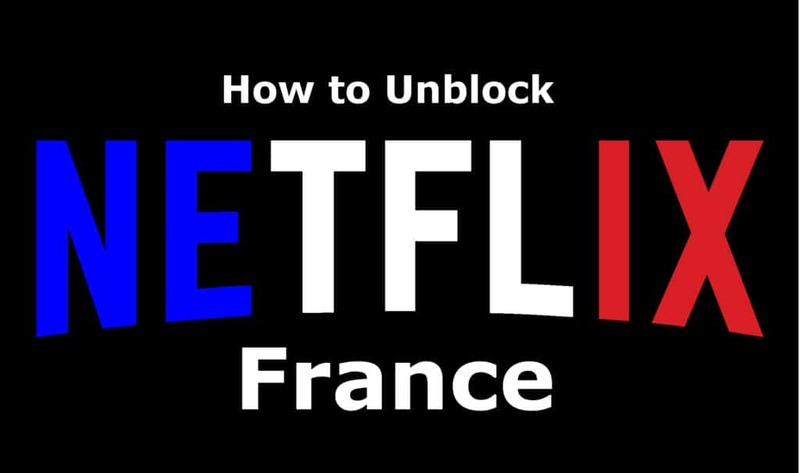 We were able to unblock Netflix France when connected to the VPN with no issues. Despite a much smaller network of servers, PrivateVPN offers some of the fastest download speeds in the business. We’ve also been able to unblock Netflix US and Netflix Italy, among others. Security is strong too. You’ll get uncrackable encryption, a kill switch, and DNS leak protection all built into the apps. No logs of user activity are stored on company servers. You can connect up to five devices at the same time on a single subscription. GREAT SPEED:PrivateVPN is a good family choice. Unblocks French Netflix. Good for browsing and torrenting. Could do with having more servers and lacks 24/7 support. 30-day money back guarantee. Can I use a free VPN to watch Netflix France? The chances of finding a free VPN service that allows you to access Netflix France are very slim. It’s highly unlikely that a free VPN service has the resources to combat Netflix’s proxy ban. We recommend avoiding so-called “free” VPNs altogether. Many of them exploit users by mining their browsing data, injecting tracking cookies into their browsers, and inserting ads onto web pages. They often sell users’ data to third parties, typically advertising companies. Free VPNs also tend to cap your data, restrict bandwidth, and have a much smaller server selection. Too frequently, they carry malware that can steal data or damage your device. We’ve listed all of the VPNs that we know work with French Netflix. The vast majority of others won’t work. Here are a few that you might come across in your search, but despite what other sites might tell you, they don’t work with Netflix France as of the time of writing. If you purchased a subscription from one of the VPN providers we’ve recommended above but still get the Netflix proxy error, try the following steps. Log out of all your Google accounts on the device, including Chrome if you use it. Google caches IP addresses, which can reveal your actual location. Disable all location services in your browser and on your device (GPS, etc). If you’ve allowed Netflix to know your location in the past, you’ll need to disallow this in your browser settings. Clear your browser’s cookies, cache, and temp files. Learn how to clear your cache here, and how to clear your cookies here. Turn off IPv6 on your device. This option can usually be found somewhere in your network settings. You may need to restart your device after. Disconnect and reconnect to the selected server location to obtain a new IP address. Change your device’s time zone to the provider’s service area and adjust the time to local time. For France, the time zone is UTC+1. If you are connected to a wifi network and have access to the router, rename your wifi network name (SSID). Append “_nomap” at the end (without quotes). For example, “comparitech_nomap”. This will opt your network out of Google’s geolocation services. You will need to reconnect your device to the new network in order to regain internet access.